Go outside: Go on a family bike ride, take a hike, or visit a park. 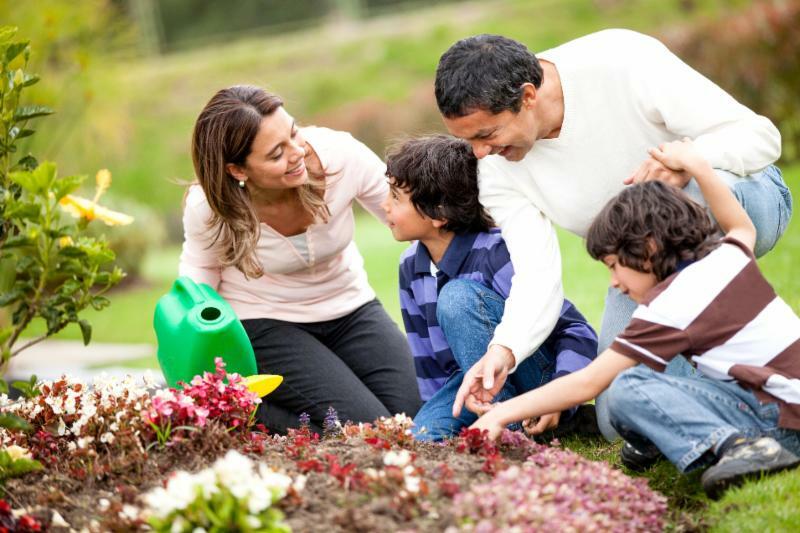 Getting outdoors and becoming engaged in a non-media activity can give you and your children the mental space to connect as a family and enjoy nature. Spending time outside can also help children focus, reduce their stress, and increase their physical fitness! Get crafty: Paint pottery, sew a quilt, or build a model train. Giving the mind space to concentrate on an enjoyable activity outside of work, school, and media can be refreshing and provide a different perspective. If your child or teen fears missing out on activities with friends, let her invite them over to paint, sew, or build together–making sure that they silence all cell phones before they start. Take time to talk: Whether at breakfast, during a walk, on the drive to school, or even before bed, take the time to check in with your children about how they are feeling and what is going on in their lives. Daily conversations can help strengthen your emotional bonds and allow you to address any concerns they have. Check ins like these can help children feel loved, understood, and safe, which are important components of positive mental health. To learn more about balancing media for mental health and preventing problematic use, see our Media Addiction page. I’m a seventh grader doing a project on how social media use affects body image–what does the research show? A: Given young people’s drive to connect with peers, they often turn to social media and even to traditional media (such as TV, movies, and magazines) for validation, not just for body image but also for virtually everything they think, do, and are. Because of their strong desire to fit in, many tweens and teens feel that they need to check that they look okay, say the right things, and don’t come across as silly or different. Young people learn how to behave in the world from the role models they chose, whether movie stars or other young people (those they know and those they don’t) in the social media realm. Unfortunately, consumer products industries have learned to harness this natural desire to fit in as a way to make young people feel inadequate–and then offer them a product that claims to help address that “problem”. Read the full answer here. Katie A., a high school special education teacher, shares how her teaching experiences made her open to the many different processes and tools that can help students stay organized, as well as the important role that adults play in guiding children’s use of these tools. Take a look at the full post, and follow along every month at Ask The Mediatrician. In this study from Computers in Human Behavior, researchers suggest that Facebook itself does not cause depression but can trigger those who are already prone to mental health issues. Read more. Dr. David Bickham provides parenting guidance in the realm of media. Read more!